Camel, a kind of animal that living in the desert, has a series of anti-stress characteristics such as the resistance of heat, salt and drought [1–3]. The previous resistance researches of camel have reported that plasma osmolality and renal sodium excretion increased after the saline loading , while water-deprivation is correlated with rise in plasma sodium concentration, urine osmolality and sodium excretion, and with concomitant decrease in plasma volume and urine production . Based on the studies in humans and other model species, salt metabolism is regulated by neuroregulation and humoral regulation, especially the two processes of intestinal absorption and renal reabsorption. Either in intestinal epithelial cells or in renal tubules, Na+ absorption requires proteins, such as solute carrier family 26 member 3, 6 and 9, EnAC complex and Na+/K+ ATP enzymes, and Na+ absorption is regulated by renin, angiotensin, aldosterone, vasopressin and other hormones in body fluids . In kidney, the formation and excretion of urine are involved in renal cortex and then renal medulla . The solute reabsorption containing Na+ reabsorption is involved in the function of renal cortex with high hydraulic conductivity of cortical peritubular capillaries [8, 9]. The water reservation mechanism of renal medulla in camel has also been revealed in our previous study . 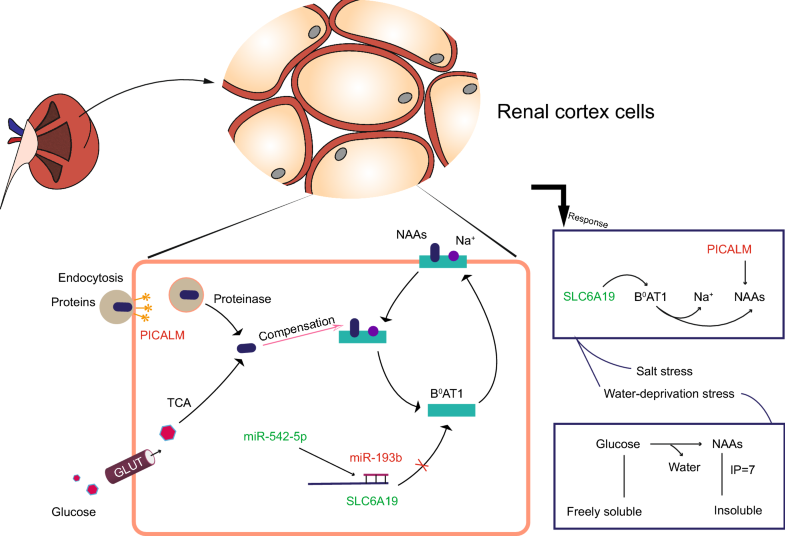 But the molecular resistance regulation of these crucial features is rarely demonstrated under salt and water-deprivation stress in the renal cortex, especially in the level of non-coding RNA transcriptional regulation. Non-coding RNAs (ncRNAs) are normally considered as the RNA molecules that are not translated into proteins, their current roles remain mostly in regulation of information flux from DNA to protein [11–13]. 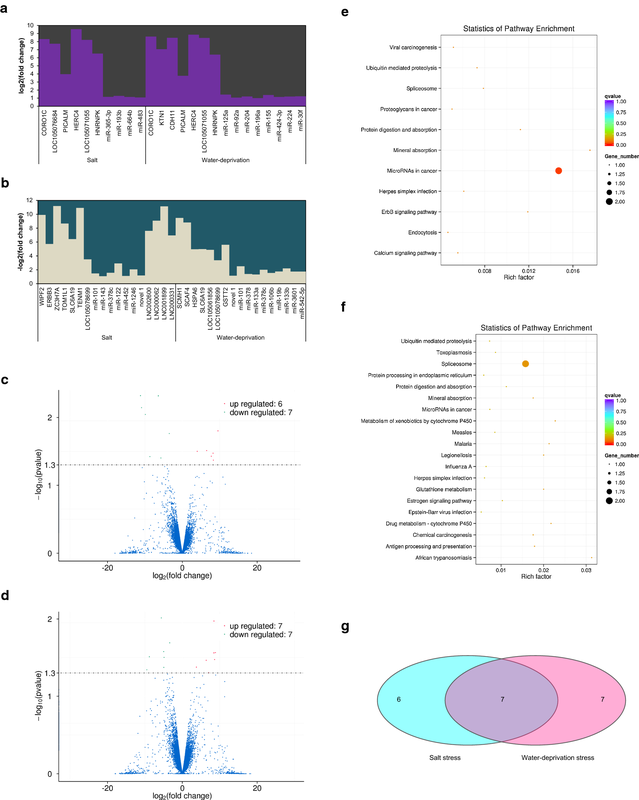 In summary, we selected long non-coding RNA (lncRNA) and micro RNA (miRNA), the two kinds of ncRNA, for the investigation of regulatory role of mRNA, to explore the camel’s regulation in response to the environmental stress of salt and water-deprivation. Furthermore, concerning that the resistance-related genes and pathway may be interrelated between camel and human, we hope to provide inspirations of diagnostic and therapeutic strategies for human diseases such as high blood pressure from scientific experimental evidences. 12867_2019_129_MOESM1_ESM.docx Additional file 1: Table S1. The differentially expressed mRNAs, miRNAs and lncRNAs of renal cortex under salt stress. Table S2. 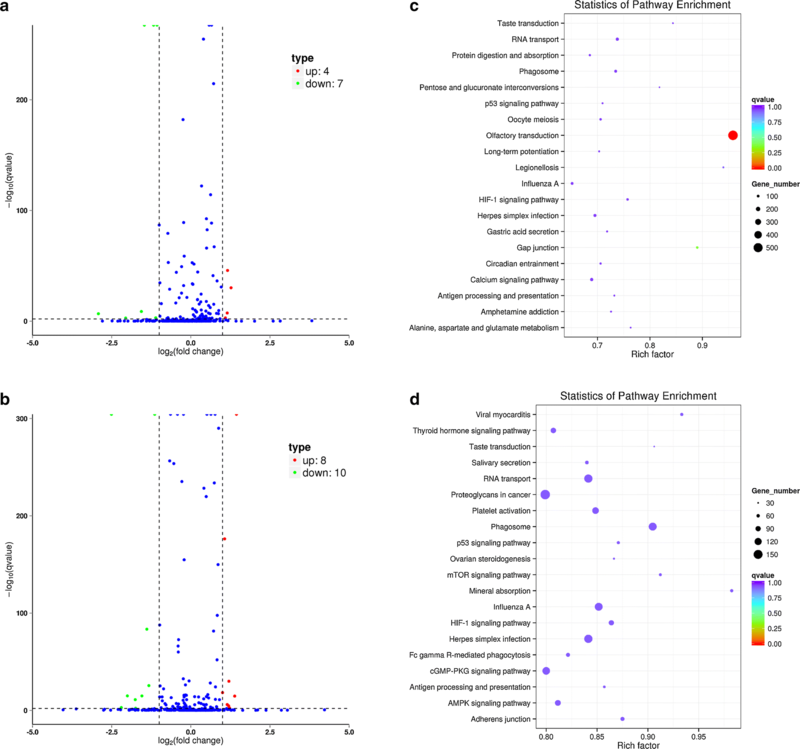 The differentially expressed mRNAs and miRNAs of renal cortex under water-deprivation stress. Table S3. 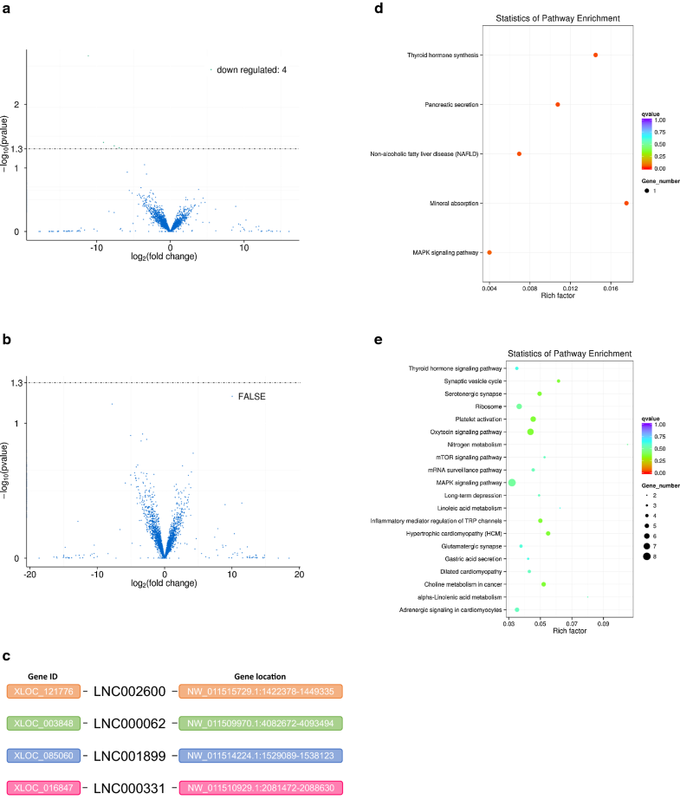 Sequence of significantly down-regulated four novel lncRNAs in the renal cortex of camel under salt stress. 12867_2019_129_MOESM2_ESM.docx Additional file 2: Figure S1. Normalized mean plasma Na+ concentration of camel under salt stress, water-deprivation stress and free diet.